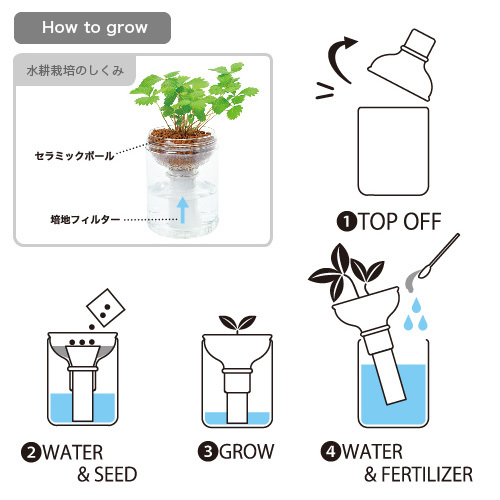 Green Pet is a hydroponic cultivation set that raises herbs and vegetables without using soil in a separate type PET bottle. It allow you to add well-grown herbs and vegetables to your dish at home and taste great! **seeds are in the small pouch in front!